Our NEW Village Quest Field Trip is for Grades 4-8, and consists of a 90 minute role-playing-game adventure in our Crossroads Village, plus a lunch break, and cost $6/student.  There is no charge for teachers and school staff to attend Field Trips at Old World Wisconsin. Parent chaperones may attend with a cost of $15 each. Each chaperone must be approved for attendance by the teacher. Now Booking Fridays May 3 to May 24, 2019. In small teams students explore the Crossroads Village completing a set of tasks and solving a Time Travel mystery. They solve puzzles, ask question to gather data, check their sources, and navigate using a compass and map. A Historic Text guides their journey and a Teacher Key helps track who measures up and who solves the mystery. Construct meaningful questions that initiate an inquiry. Develop claims using evidence to support reasoning. Evaluate the relationship between identity and place. Evaluate the relationship between humans and the environment. Investigate interactions between individuals and groups (Sociology). Assess the role that human behavior and cultures play in the development of social endeavors (Anthropology). Examine the progression of specific forms of technology and their influence within various societies. Use historical evidence for determining cause and effect. Analyze, recognize, and evaluate patterns of continuity and change over time and contextualization of historical events. Connect past events, people, and ideas to the present, use different perspectives to draw conclusions, and suggest current implications. Evaluate a variety of primary and secondary sources to interpret the historical context, intended audience, purpose, and/or author’s point of view (Historical Methodology).